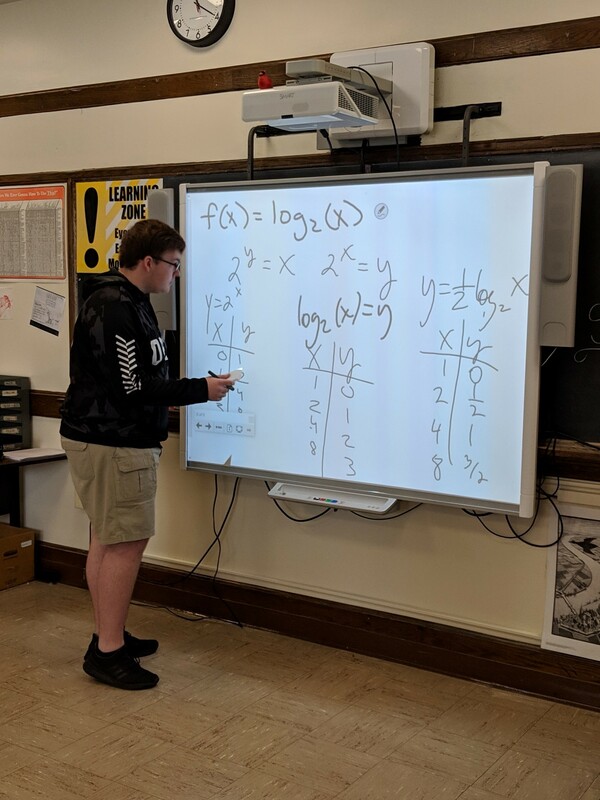 In Mr. Tkachuk’s PreCalculus (Math 138) senior, James Connelly, is showing how he solved one of the homework problems. He is demonstrating how to graph a logarithmic function with transformations without using a graphing calculator. Right now in PreCalc students are working on logarithmic and exponential functions.